Want to know if we are what you are looking for in a stay? *you are a foodie who is always looking forward to their next meal. Our restaurant is tops in Bocas for a reason and we believe in sourcing locally and organically whenever possible. *you enjoy traveling to rustic, off the beaten path types of places in a beautiful, natural setting yet you want to return to a super comfy memory foam mattress ,a hot shower and a room where attention has been paid to the details. *you enjoy the intimate feeling of staying in a small, laid back, eco B&B as opposed to a 24 hr hotel with a large staff. Keep in mind this is a home that has been opened up to guests. Our staff, although small, are always willing to help should you need it. If this sounds awesome to you….keep reading about us! The Firefly is a small, rustic, 5 room, eco bed & breakfast located in the most convenient location in all of Bocas Del Toro, Panama. Isla Bastimentos is a short 7 min boat ($3) ride away from the center of Bocas Town making it easier (& cheaper) to get to from town than other parts of Isla Colon. 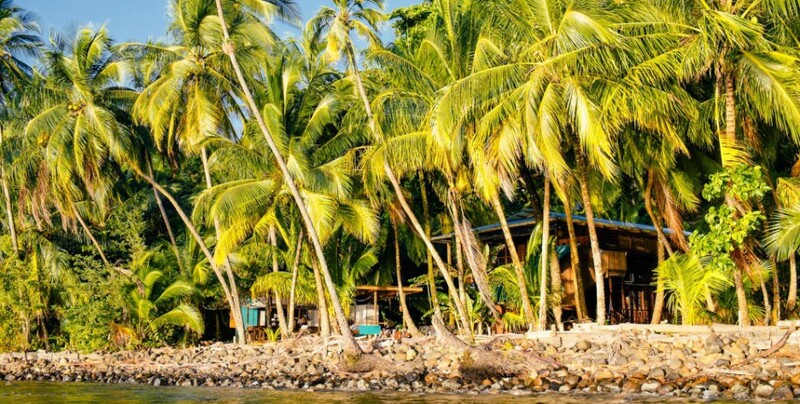 Bastimentos is home to Bocas’ most beautiful beaches and we sit in the center of it all including all of the surf breaks, the best snorkeling and all of the activities. We are geared toward couples who love the outdoors and a local experience, surfers who want to be near the breaks and of course those who love adventure & amazing food. We are also a great option for a girlfriend getaway, yoga retreat or surf vacation. Do everything or do nothing. You just might not want to leave our grounds. **Please note, we are an adults only property. We have opened up our home to allow others to see the beauty of Bastimentos and we run it ourselves with the help of a few Bastimentos locals. Our locally built home is rustic chic, island home with comfortable interiors, quality linens and a fun vibe. Our open air, waterfront restaurant, bar, infinity pool and lounge area complete with sun loungers, daybeds & hammocks is the perfect place to spend the day with a book or an evening with sunset cocktails. We sit directly on the Caribbean and water access can range from easy to impossible depending on the time of year and the swell. It is rocky and water shoes are recommended. We have a small, infinity plunge pool for our guests & a covered yoga pavilion that is used for classes, retreats and private dining. 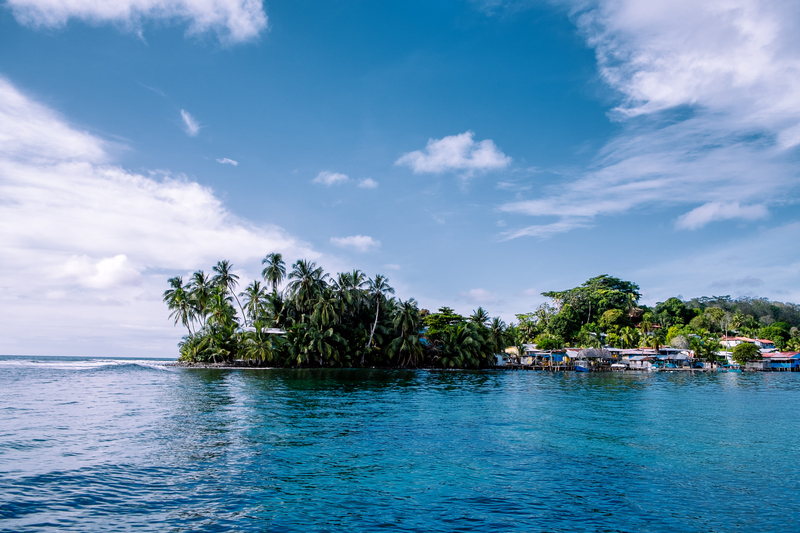 Our ocean front location is close to everything, just a 7 minute, $3 boat taxi from touristy Bocas Town, yet far enough that you feel like you are in your own island paradise. We are located just out of Old Bank, the Caribbean town in Bastimentos; a short walk from the public boat dock. 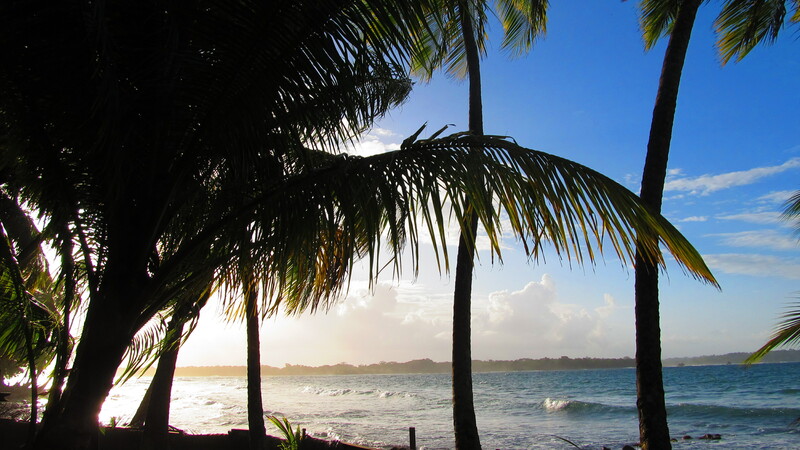 Our location is private and serene, has the best breeze on the island and is away from the noise of Old Bank YET the bars & restaurants of Bocas Town are only minutes away . 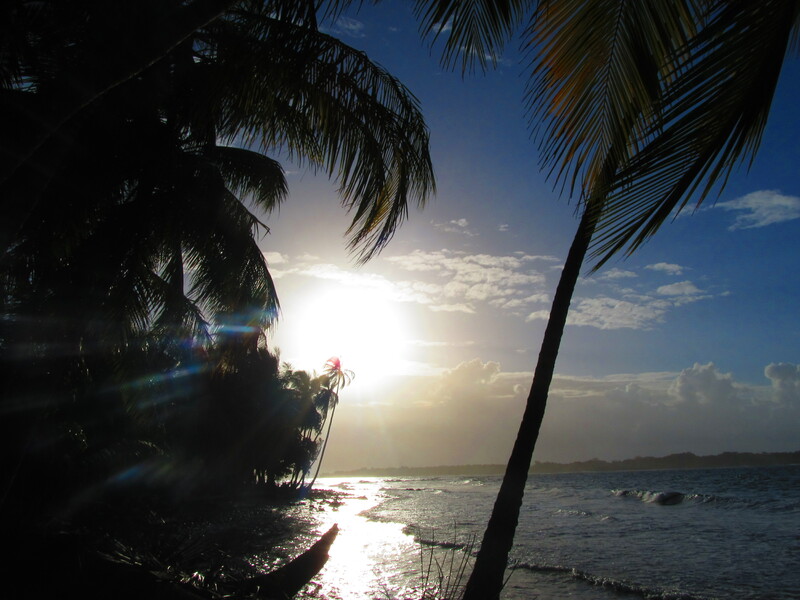 We are in the middle of everything, including Bocas best beaches, hiking trails, surf breaks and snorkeling. Basti also has Bocas only jungle zip line tour and our favorite excursion, the Bastimentos Bat Caves. Old Bank ( 3 min walk) offers some of the best food in Bocas. If you want a cheap local plate with rice and beans, head to Lisset, or for something a bit more creative than the local plate of the day, we love the fusion caribbean style of Chavela. There are also convenience stores minutes away from us. The Firefly strives to be earth conscious and eco friendly. Sustainability is high on our priority list as much of The Firefly was built out of plantation grown hardwoods, fallen trees and reclaimed lumber. We use a rain water catchment system to provide all of our water. We even use biodegradable, compostable straws in our bar made from a plant-based materials (never plastic!). We compost as much of our refuse as we can in our quest to minimize our footprint. We ask guests to bring a travel container for water as we do not sell bottled water in order to not contribute to the growing plastic problem on the islands. We will provide you with a carafe for your room with endless filtered water. We will be happy to re-fill your personal container with filtered water for less than the cost of buying a bottled water. All of our other water needs (showers, sinks & toilets) here at The Firefly are provided by the rain. In keeping with our eco friendly mentality and water being a precious resource, your linens will be changed only if requested during your stay. We built the restaurant/bar ourselves with the help of our friends and our local Panamanian builder, Augustine Vidal. The Firefly is a place for those with a respect toward our planet who still want stylish decor, a cool vibe & comfort. We are not a 5 star resort or large hotel chain preferring a more local, intimate island experience. We do not have a/c or tvs, preferring the sounds of the ocean and jungle life. The house was constructed in a rustic manner & the geckos will still find their way into your room. Never fear, they eat the bugs! 🙂 The house itself is not built in a soundproof manner and the waves/rain can be loud. 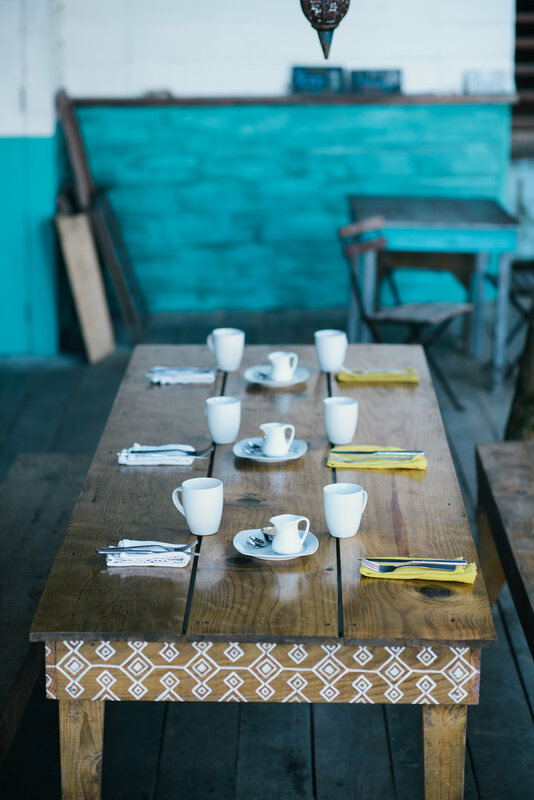 Bastimentos is a bit rustic and we wouldn’t have it any other way. We feel this adds to a unique, island experience. You will walk through the local village to get to us. The people here are kind and love a wave hello. We live amongst the local people and we love our neighbors! We think you will find the people on Basti to be super friendly. Everybody here knows everybody and their way of life is much simpler than most of us are used to. If seeing the way locals live isn’t your thing, then we are not the place for you. Here in Bocas, we have the occasional power outage. 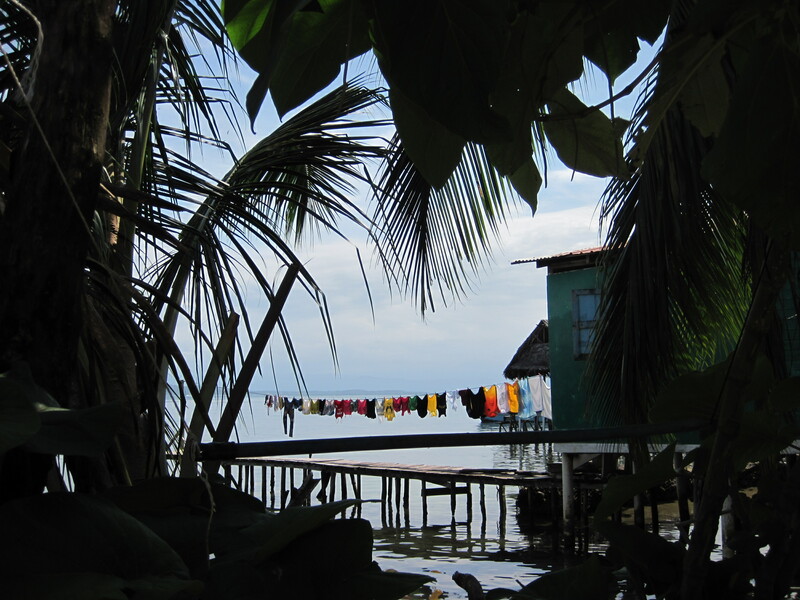 Bocas also tends to have a water shortage certain times of the year in the dry months. This is an island wide issue as we can go without rain for more than a month. Most of the time, these are not issues and the rain can be plentiful, however we ask guests to be responsible with their water usage. Please realize that we are on an island and life is much slower here. Leave the pace of life at home, enjoy yourself and relax. None of the excursions/tours need to be planned ahead of your arrival time except diving if you are planning to get certified. Everything else can pretty much be arranged the morning of. We provide an amazing breakfast that is included for our guests. Everyday is something new, whether it’s banana pancakes, an omelette del dia, or coconut french toast with fruit from our yard, it’s all fresh & yummy. 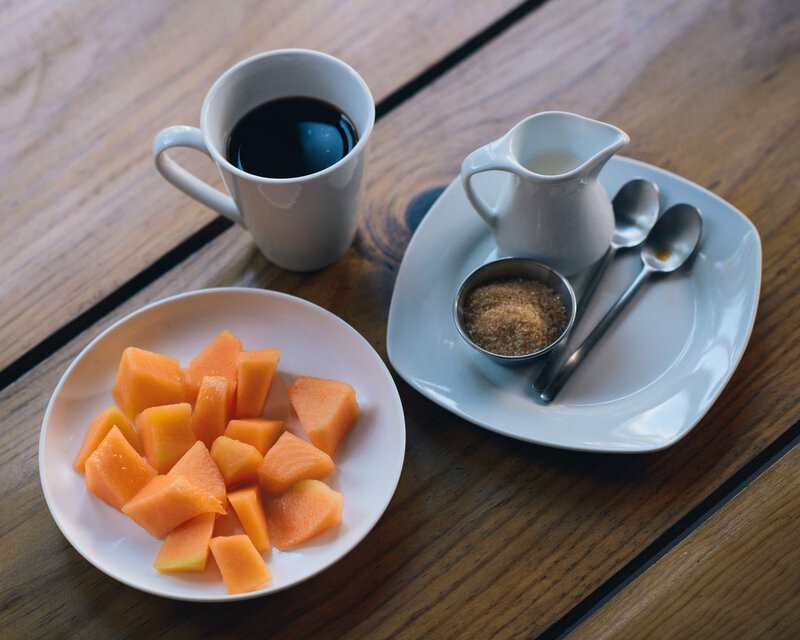 Coffee is grown in the mountains of Panama and smoothies are made with local fruit. We believe in using local food & organic produce whenever possible and everything, sauces and ice cream, in our restaurant is made in house.